I am quite impressed that the Welsh have a word for accessible. This is almost as impressive as their word for microwave which is ‘poppety ping’, but I digress. We spent a week exploring South Wales in early September and found lots of places to go and things to see which are just fine for a wheelchair user. One of my favourite things to do on holiday is to amble along the beach dipping a toe in the water and gazing out to sea, so it has always been a sadness that this is well nigh impossible in a wheelchair, without investing in a cumbersome all-terrain vehicle which needs to be transported to the beach, and rather detracts from the spontaneity. So it is a great joy that beach wheelchairs for hire seem to be springing up at seaside resorts all over the place, both in the UK and in Europe. 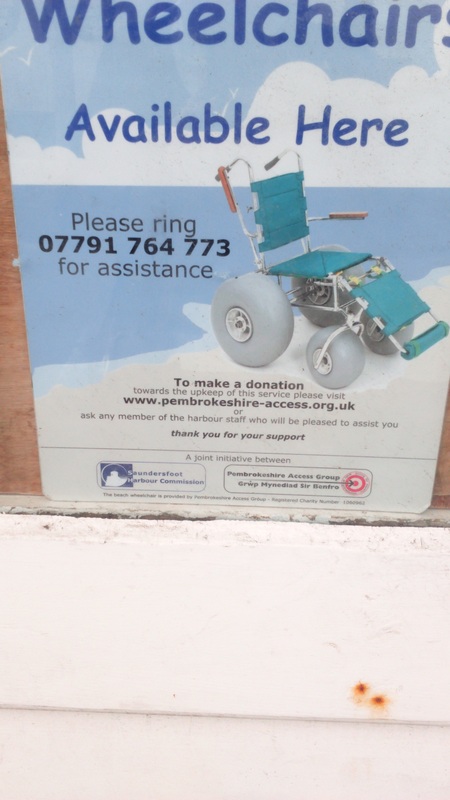 A poster advertising the beach wheelchairs so you don’t actually need to search the internet to find out that they exist. which is a pleasant laid-back sort of a seaside town with lots of parking in a big car park on the seafront. We had good crab sandwiches from a stall in the harbour and a decent pint of SA Brains at The Old Chemist Inn overlooking the bay, where staff were very welcoming to Hal. Saundersfoot also has plenty tarmac surfaces to the water’s edge along the harbourside, and an accessible sensory garden. Beach wheelchairs may be hired in advance: more information here. 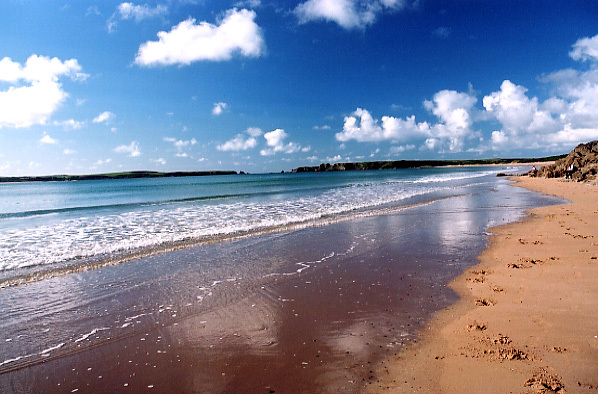 Tenby is much busier, and much hillier, and parking is tricky, but don’t let that put you off because it’s a charming town with lots to explore. There’s an accessible bus from the car park in the lower town, but the car park at the south beach is probably best for wheelchair users. There’s an accessible path or boardwalk down to the sand, and quite a few mobility scooters were in evidence. Beach wheelchairs may be hired from here. If I am honest, I think there’s more that Tenby could do to encourage the purple pound, but I still liked it! (Also that walk along the south beach is so worth it, if only for the MASSIVE dead jellyfish littering the shore – I felt much better about wimping out of swimming after seeing them). http://www.disabledgo.com/ “Remember, if your planning accessible days out, DisabledGo.com provides FREE online access information for over 125,000 places to go in the UK, including hotels, restaurants, hospitals, tourist attractions and much more!Every single venue has been visited in person by one of our specialist surveyors” This is a very comprehensive review site, and they have a well organised network contacting services annually to update their information. However there is still lots of room in the market so it’s onwards and upwards for AccessibilityReviews! Given that around 10% of people have mobility issues, it would be great if you could include in all articles about places to stay or visit, whether they are accessible or not or perhaps mention if there are details about this on their website. Next time you do a travel special, would it be possible to feature things to do, places to stay that are accessible to all? After all, there must be millions of families who either sometimes or always have someone with them who needs places to be accessible but who otherwise have the same interests as anyone else. How about making it a matter of course that you mention accessibility? Let’s see if this one gets a response! Anyone know if any papers are any good at mentioning accessibility? Given that around 10% of people have mobility issues, it would be great if you could include in all articles about places to stay or visit, whether they are accessible or not or perhaps mention if there are details about this on their website. You often have travel section special editions or sections about adventure holidays, family-friendly, romantic or gastronomic ones. Would it not be possible to have a special mention of things to do, places to stay that are accessible to all? After all, there must be millions of families who either sometimes or always have someone with them who needs places to be accessible but who otherwise have the same interests as anyone else. How about making it a matter of course that you mention accessibility? Let’s see if I get a response! Hello – I’m Gillian. I live in Howden in the East Riding of Yorkshire and I’ll be reviewing places visited by my son Hal, who is 21. 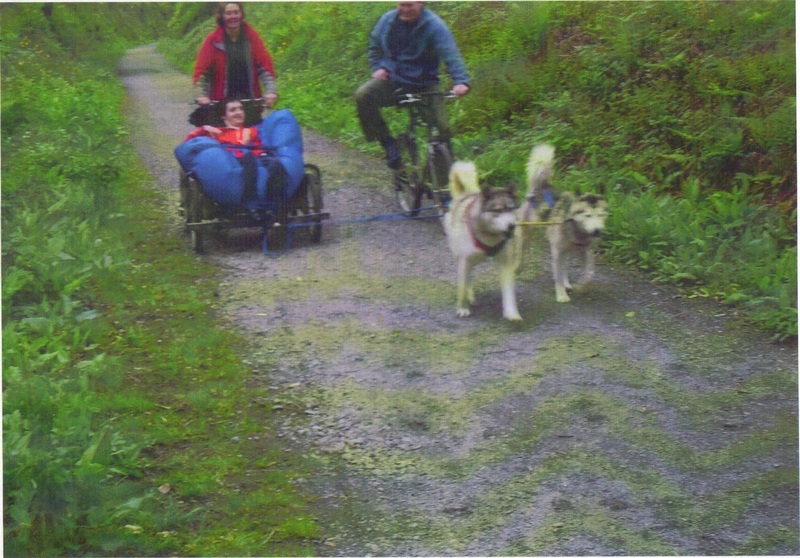 Hal uses a manual, moulded wheelchair (he doesn’t walk at all) and he’s never happier than when on the move. So we travel *a lot* and we’re pretty intrepid, boldly going where no wheelchair has gone before. Look out for our adventures on here! In August 2015 we went for lunch at the George Hotel, West Bay to celebrate my father-in-law Tim’s 100th birthday. The pub is a short, level walk from his care home, very useful when negotiating a route with a wheelchair. There is (public) parking right outside if needed, including two wider, but not marked disabled, spaces. There is a shallow ramp up to the side entrance and we went through the public bar into the restaurant, a level and very accessible route, with sufficient space between tables. However, the pub was not busy, as it was 12.30 on Wednesday lunchtime on a dull and windy day. It may not have been so easy if the public bar had been full. The restaurant also had plenty of space between the tables, and we were not the only party there with a wheelchair user. The staff were very accommodating and let us choose our preferred table when we pre-booked. The menu was comprehensive with the usual pub fare (lots of chips) and a good range of ‘specials’ on the board. We ordered a child sized portion for Tim senior and this was dealt with efficiently by the wait staff. The food was good, fresh, nicely cooked and presented and Tim was very happy with it. The restaurant had filled up by the time we left, but there were no problems getting the wheelchair out again. I believe there is a disabled toilet with no steps but I can’t report on this because no-one of our party used it. Introducing a new reviewer, Marilyn, (mrsmeh) who lives in Bridport, Dorset with her husband Tim and they often visit places with Tim’s father, also Tim, who uses a wheelchair.